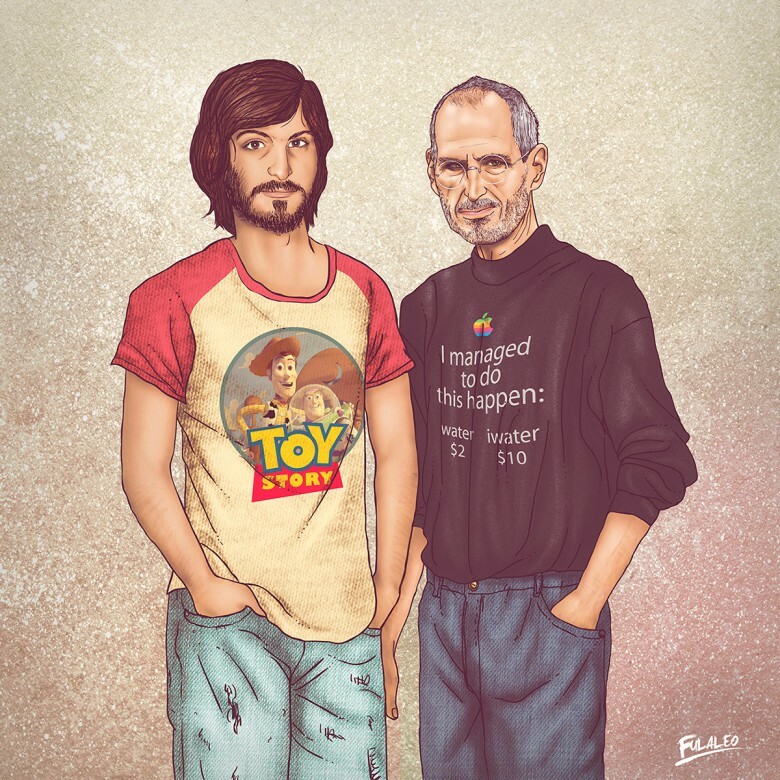 Steve Jobs before and after, with maybe a little judgement about water sales. “Me and My Other Me” is a series of illustrated portraits of celebrities. The roster of folks drawn up include tech giants like Bill Gates and Steve Jobs as well as music mega-stars like Mick Jagger and Michael Jackson. What makes them creepy–aside from the highly detailed cartoonish art style, that is–is that they’re portraits of both younger and older versions of the subjects. Just take a look at a few of these disturbing pieces of art below and you’ll see what I mean. 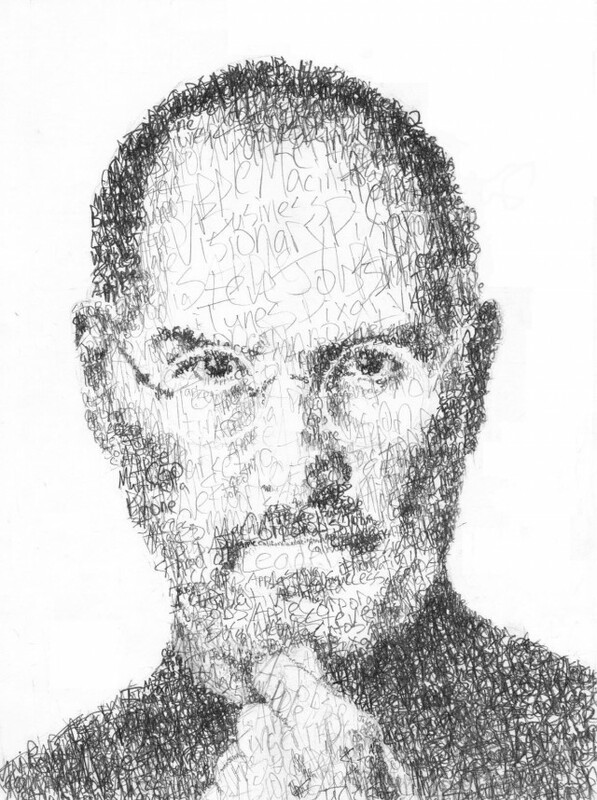 According to redditor cheeseboyhalpert (doubtlessly a nom de plume), this portrait of Steve Jobs was created out of nothing but words, beautiful words.